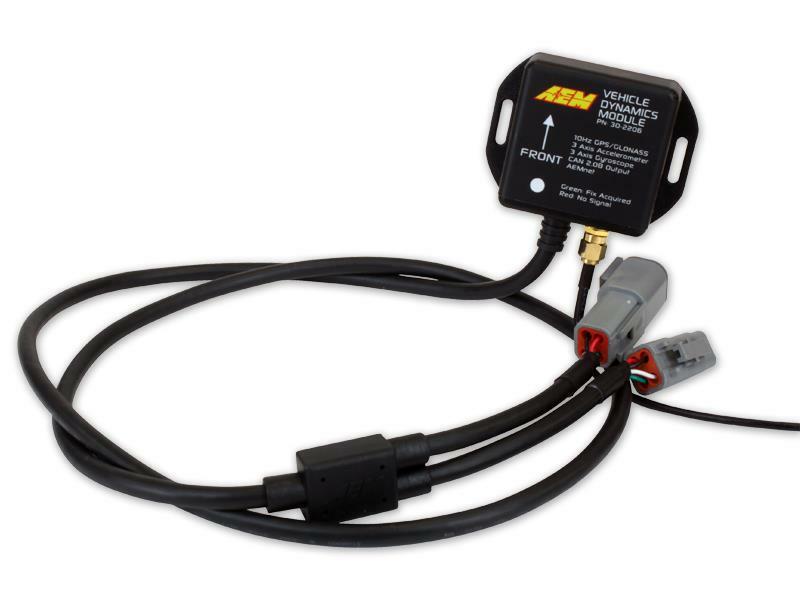 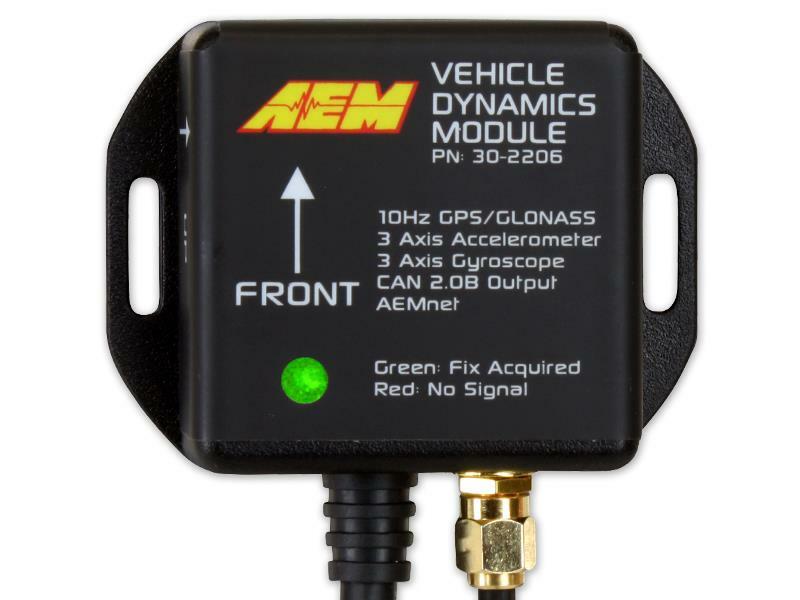 The AEM Vehicle Dynamics Module (VDM) is an AEMnet CANbus enabled device with an on-board 3-axis accelerometer, 3-axis gyrometer and 5Hz GPS+GLONASS that provides pinpoint position accuracy. 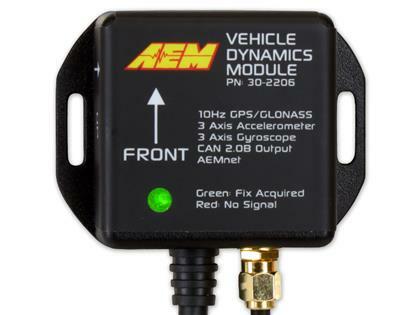 The VDM’s GPS+GLONASS deliver vehicle speed, position, heading and altitude, enabling you to create track maps using AEMdata’s track mapping software, while the accelerometer and gyrometer provide critical data for chassis tuning. 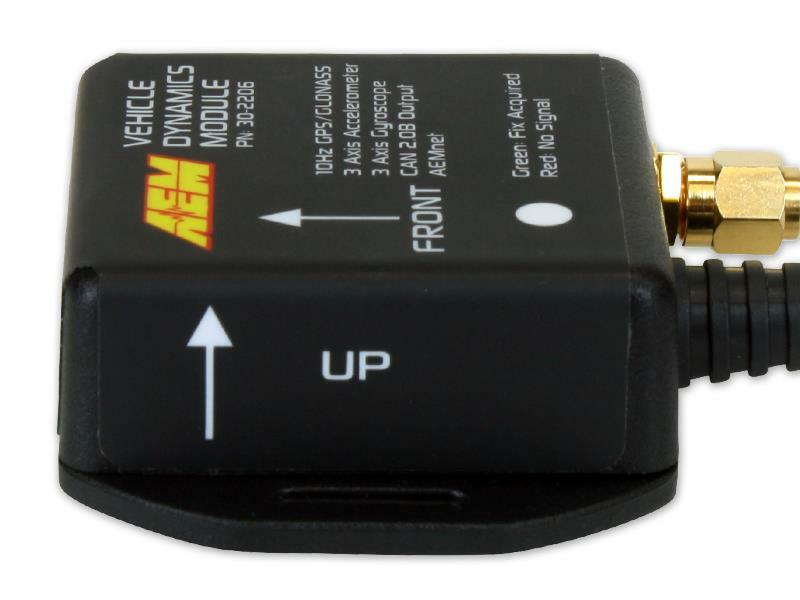 There has never been a more affordable way to capture highly accurate position data for track mapping! 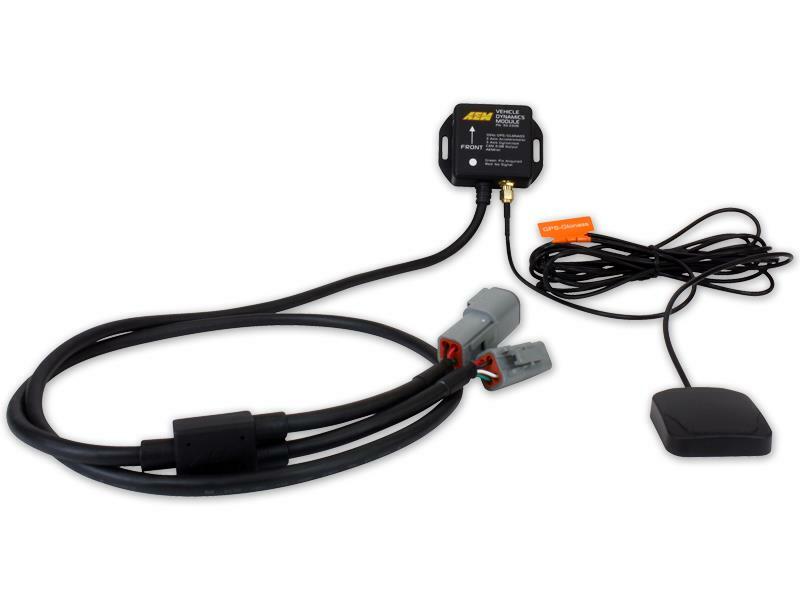 Installation is simple and virtually no set up is required. 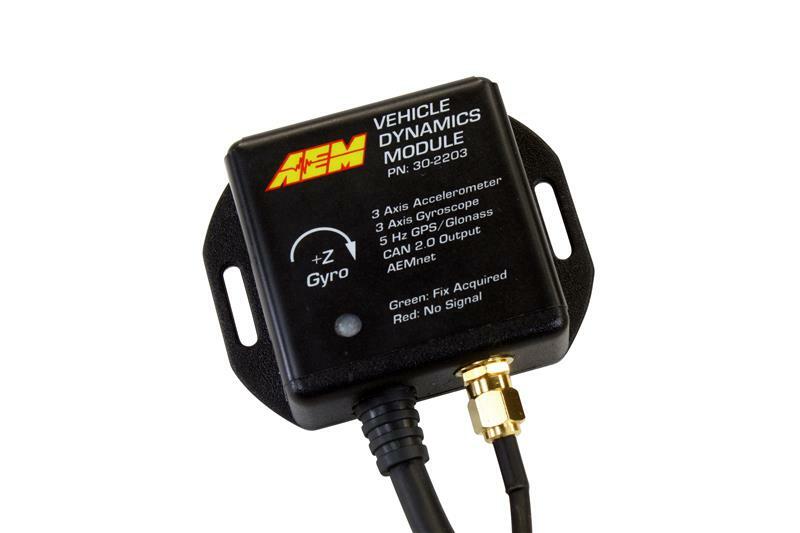 It is powered by the AEMnet connection, so you simply mount the weather resistant-module in the correct orientation at the correct angle and connect it to the AEMnet adapter. 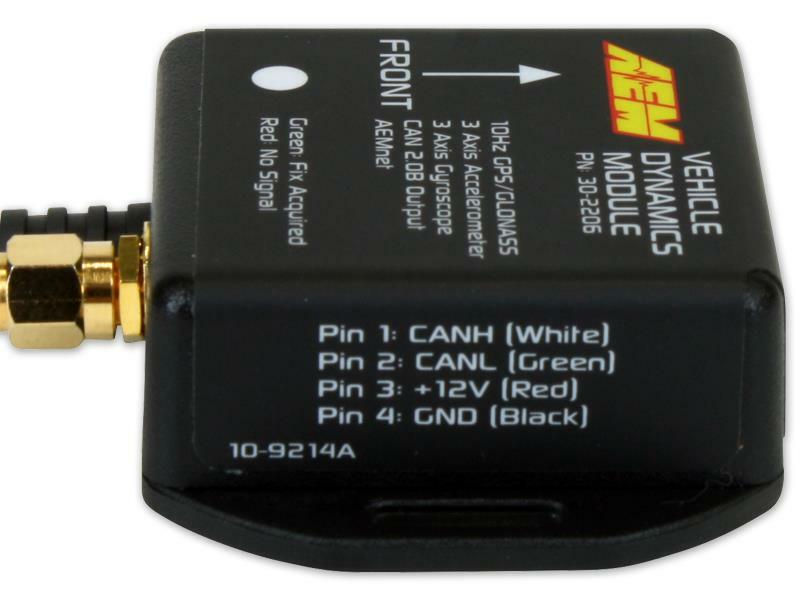 Data from the VDM does not require configuration; It is recognized by the Infinity (software v96.2 or newer) or AQ-1 (software 4.01.7 or newer) and the channels are added to the data logs. 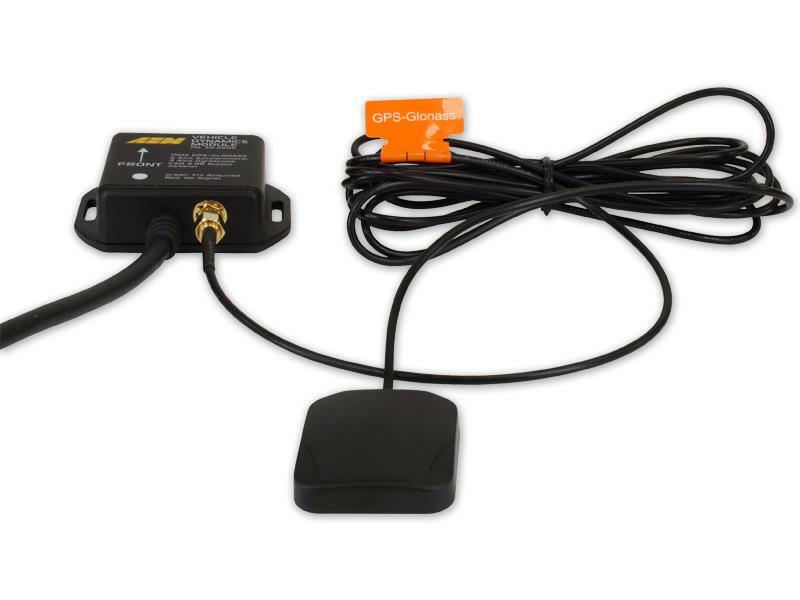 The GPS/GLONASS antenna is IP67 rated (completely dustproof, waterproof to 1m) for mounting on the outside of the vehicle.